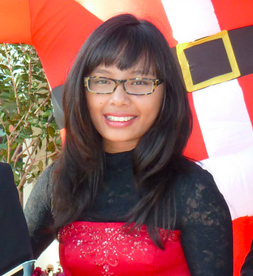 My name is Souvixada and I am Vietnamese, Laotian, Persian, Chinese, French, and Thai. My dad is Vietnamese and my mom is about everything else I am. I was born in Laos, a small third-world country smack in the middle of Southeast Asia. Being from Southeast Asia leaves a lot of room for a person to wonder where they originated from — it’s located between India and China and is known to be a territory influenced by the former British and French rule. I usually get mistaken for being South American or Filipina because I get really dark during the summer and I don’t have the distinctive Asian eyes (they’re rather big, though you can’t really tell in the picture — I was sleepy). Culture-wise, I regard myself as human. I disregard the fact that I have to know how to speak 4 different languages to communicate with all my family or the fact that I sometimes alternate going to temple, church, and mosque. I’m not always politically correct, but I’m always correct when I say I’m a citizen of the world. well said! I think to some extent breaking away from cultural barriers can be a good thing. But to identify as a being with the knowledge and influences from different culture can be a very strong asset.